Motorola's move away from traditional headphone jacks seems premature. The 3.5mm port is dying -- at least when it comes to smartphones. If the persistent Lightning headphone rumor wasn't enough to persuade you, the fact that Motorola beat Apple to the punch should be. Motorola's new Moto Z and Moto Z Force don't have that familiar circular hole for your cans to plug into, and it now seems inevitable that almost every phone within a few years will forgo the port in favor of a single socket for both charging and using headphones. There are literally billions of headphones out in the world with a 3.5mm jack, all of which will need an adapter to work with Motorola's new phone. And the quality of that adapter is going to be all-important. Phones are digital devices, and headphones require analog input. To solve that, every phone has a digital-to-analog converter (DAC) and an amplifier inside, which do exactly what the names suggest. The DAC converts the signal from ones and zeros to waves, and the amplifier makes those waves audible through a speaker or headphones. The combination of these two parts (DSPs are also involved, but let's not overcomplicate things) is what makes phones -- or anything with a headphone port -- sound different from one another. If you listen to the same track, with the same headphones, on an iPhone 6S and a Galaxy S7, they won't sound identical, mainly because the two phones use different DACs and amps, which output slightly different analog signals through the devices' 3.5mm ports. The DAC and amp, then, are the hidden link between your music app of choice and your headphones, and their importance can't be understated. The industry has gotten a lot better with DACs and amps in recent years, and the general standard of audio output from phones has risen, but there are still devices that are stronger and those that are weaker. With the switch to USB-C (or Lightning) for headphones, your phone's DAC and amp (it'll still need one for the speaker) are being bypassed. That means this all-important component will now reside inside either the adapter (for your existing cans) or the headphones themselves (for USB-C or Lightning headsets). In reality, those people you'd imagine to be up in arms about the change -- i.e., audiophiles -- probably have the least to be worried about. Premium manufacturers will be able to pick and configure the DACs in their headphones to match the analog circuitry inside. We're already starting to see companies like Audeze provide headphones with apps that allow the listener to fine-tune the output of their built-in DACs, DSPs and amps. This can result in clearer sound at louder volumes than, say, an iPhone can provide. You'll also have the peace of mind that whatever you plug your expensive headphones into, they will sound exactly as the manufacturer intended. 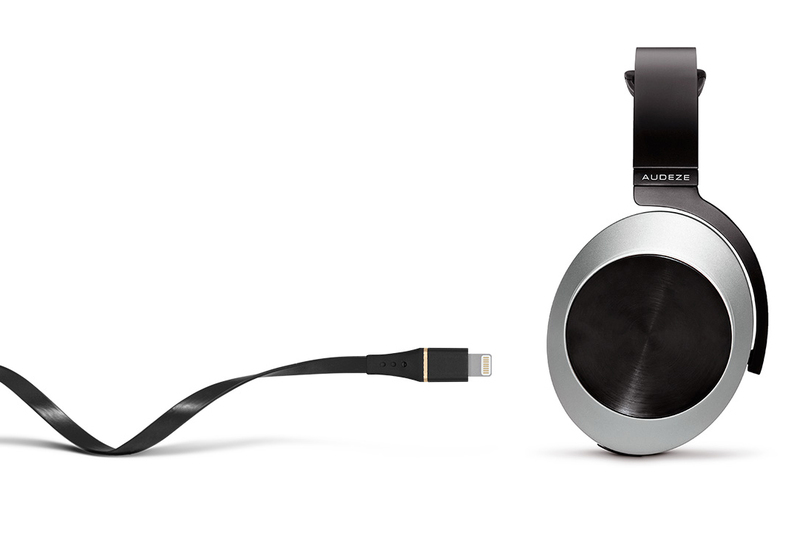 The high-end Audeze EL-8 can plug into an iPhone's Lightning port. For existing premium headphones, there's already a strong market for DACS to complement high-end phones, and with the abrupt switch to USB-C and Lightning, that market is only going to grow. Audiophiles are also unlikely to be fazed by the thought of carrying around a dongle or breakout box in the name of higher-quality sound. Indeed, many already do. Who should be worried about the change? Well, anyone who doesn't own expensive headphones and has no intention of getting them. If you're the type of person who spends $30 to $100 on cans, then you probably have cause for concern. You're either going to need to grapple with what is likely to be a budget adapter for your existing headphones or choose a cheap USB-C or Lightning model. And here's the problem: The DAC and amp inside that $50 pair of digital headphones are not going to be of the same quality as those in a $500 pair. Nor will the sound they output be afforded the same time and effort. Instead of trusting in your phone's DAC and amp to output decent-quality audio at decent volumes, you'll now be contending with the choices of a company that has had to cut corners to put out headphones on a tight budget. The argument that those spending "so little" on headphones don't care enough about sound quality to notice is plain stupid. This isn't 2007, and millions of people now leave those white earbuds in the box, where they belong. You can also buy some great headphones for less than $100, and although there are huge gains made above that price point, it's a case of diminishing returns as you approach the high end of the headphone market. In order to get the same quality offered by analog pairs, the price has to go up. Of course, I don't want to be a scaremonger. Bluetooth headphones already have the necessary components inside to convert digital to analog, so this won't be entirely new territory for many companies. But to get good Bluetooth headphones, you need to spend more than you would to get good analog headphones. The same will be true for USB-C and Lightning: In order to get the same quality offered by analog pairs, the price has to go up. Sure, there will probably be, for example, JBL USB-C headphones at $50, $75, $100, etc., but they will each sound worse than their analog counterparts at the same price. To my mind, anyone investing that kind of money deserves, at the least, to get the same kind of sound quality per dollar as they do now from their analog cans. And it's difficult to imagine a world where JBL, or any company, will accept lower profit margins on digital headphones than analog. The price has to go up, or the quality has to go down. Putting these components inside the headphones (or, in some cases, the cable) also has an unwelcome side effect: reduced battery life. Apple, Samsung, Motorola et al. spend a long time fine-tuning the components in their products to maximize endurance. That means limiting the output of the amplifier in order to ensure it doesn't use too much power. If you put the control of these variables in the hands of headphone manufacturers, they will undoubtedly choose components that make their hardware sound best rather than those that play nice with your phone's battery. While powering in-ear headphones is unlikely to have too much impact on your battery, using a pair of cans with large drivers will. We've already seen this in action from some early Lightning headphones, with models like the Audeze EL-8 trimming a fair chunk from the iPhone's already questionable battery life. The final issue with phones ditching the 3.5mm port -- and this might be the worst -- is that the industry is far from finished with developing its replacement. Intel, for example, is currently working on USB-C audio in a big way. In addition to trying to standardize USB-C digital audio output, it's also working on a system that will allow analog audio to be output through sideband use (SBU) pins. These pins are currently not being used in the USB-C spec but would allow for headphones that use the phone's DAC and amp. That work is not yet finished, and for Apple to benefit from it would involve ditching the Lightning port, which is based on USB 2.0. The industry is far from finished with developing the 3.5mm port's replacement. Given that Apple has switched to USB-C for other products and that it has no problem with killing ports in the name of progress, that's not as impossible as it sounds. 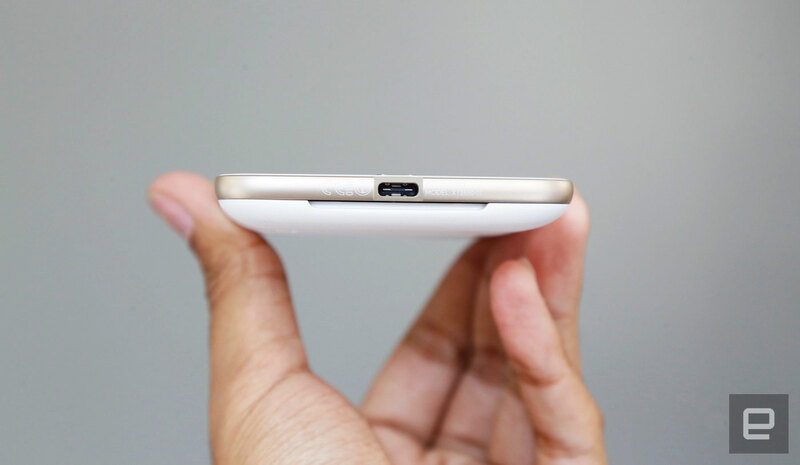 Adopting USB Type-C for headphones could even lead to a MacBook with two ports! But let's not dream of such crazy things. Let's get back to the Moto Z: We don't actually know how Motorola's system works. There's an adapter in the box to facilitate plugging in 3.5mm headphones, but it's not clear if it uses Intel's in-development analog tricks or has an amp and DAC built in. Chances are it's the latter, which is what Chinese company LeEco's new USB-C smartphones do and what all Lightning headphones on the market today do. This uncertainty is indicative of a real problem: By making the jump so early -- before the industry has truly settled on a standard -- Motorola, Apple and any other company that follows suit might have a difficult decision to make in a couple of years: Do they upset their customers with another change to audio output? Or ignore progress in the area and persist with a solution that leaves analog output in the past, even when it's possible through a single port?